This week has been considerably warmer with lots of rain. 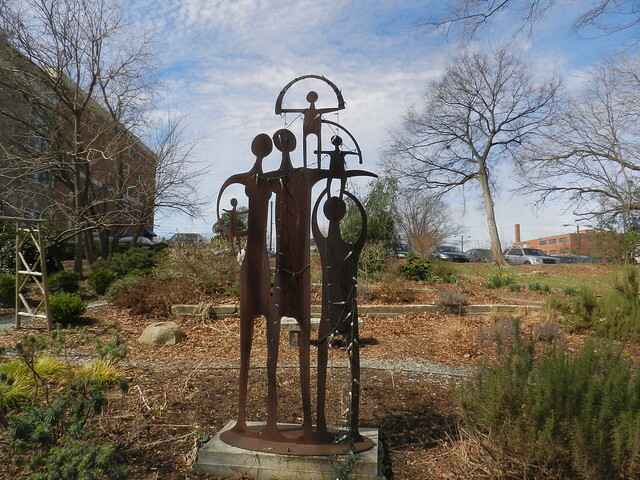 I did have a good day for a lunch hour walk. 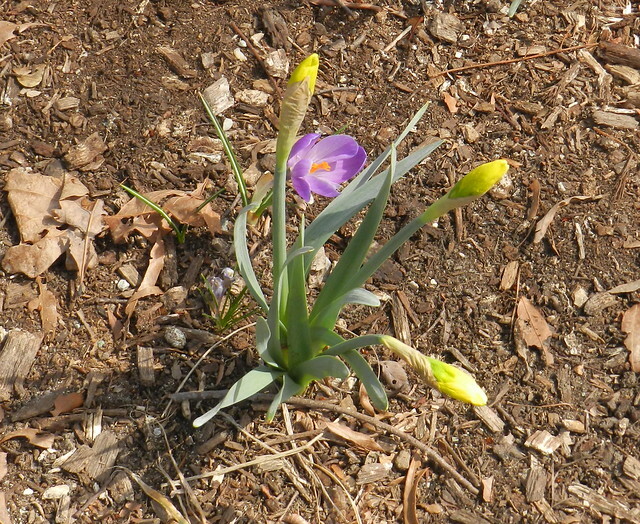 Fun to see signs of spring beginning. The elf cars on the right side of the shot below are a cross between a bike and a car. They have 3 wheels, can be pedaled like bikes or rather tricycles. They are also electric cars that can be charged and have a solar panel to charge when the sun is out so are a cross between a car and tricycle. 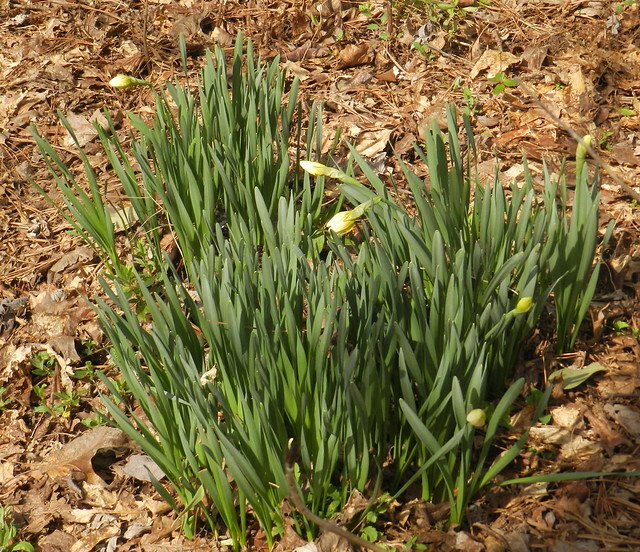 Below is a shot I took of daffodil buds in my back yard. The next shot is of the narcissus I showed beaten down by snow a week or so ago and they have bounced back more than I thought possible. 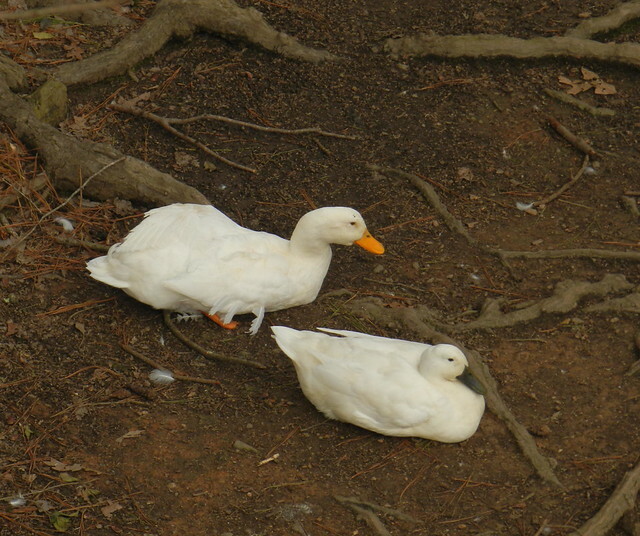 They were beaten down by hard rain on Saturday. Sunday was overcast in the morning but clear and a good walking day. 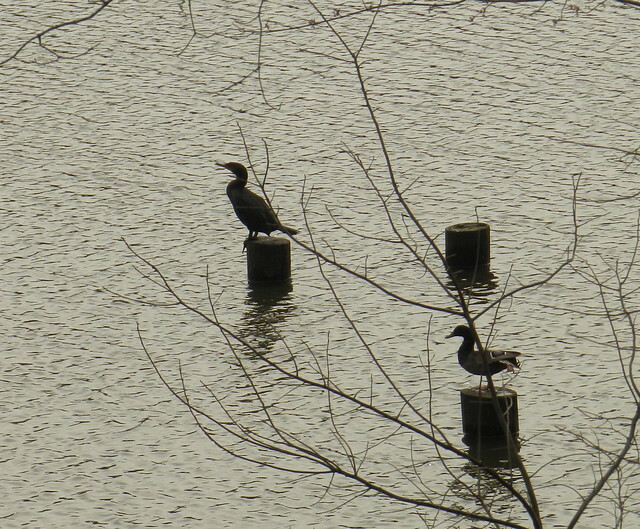 I didn't see many cormorants, ducks or geese but above is one cormorant and a mallard. 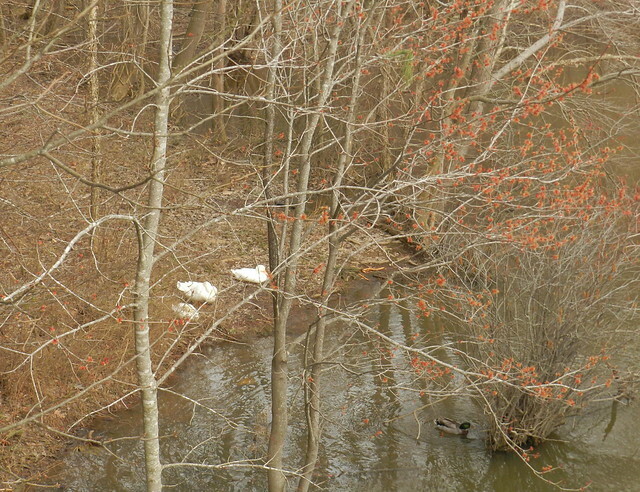 There were a few ducks but mostly the water birds are in spring mode where they are in protected areas and stay hidden much of the time until they come out to show off new babies in late spring. Look what the warm weather can bring....now how do I get that weather to come back up here. 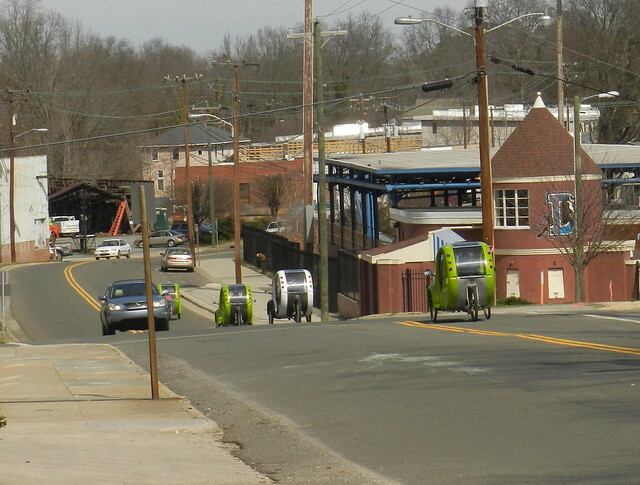 Those car tricycles look interesting. A good way to travel short distances around town. 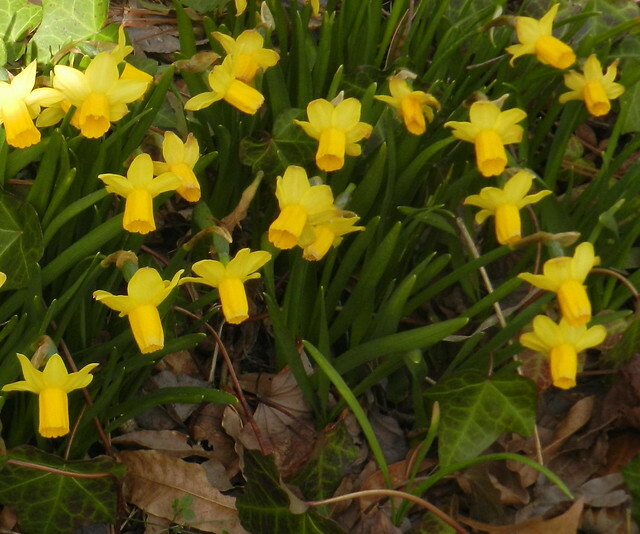 Spring is very much here with all the flowering daffodils everywhere. The warmer temperatures here (UK) have also produced colour in the garden at last. The car tricycles are cool. Exquisite flowers and colors and such a wonderful glimpse of Spring!! Yep, I want one of those elf cars, too!! Have a great week, Carver!! Lovely signs of spring in the crocus and dafs! Great to see the daffodils are in bloom. I guess spring is finally making it's way northward. YAY! Thos Elf Cars look amazing! I've never seen them before. The crocuses and daffodils are so wonderful! I knew it was going to happen soon. Thanks for the Spring beauty and the memories. Those elf cars are cute! 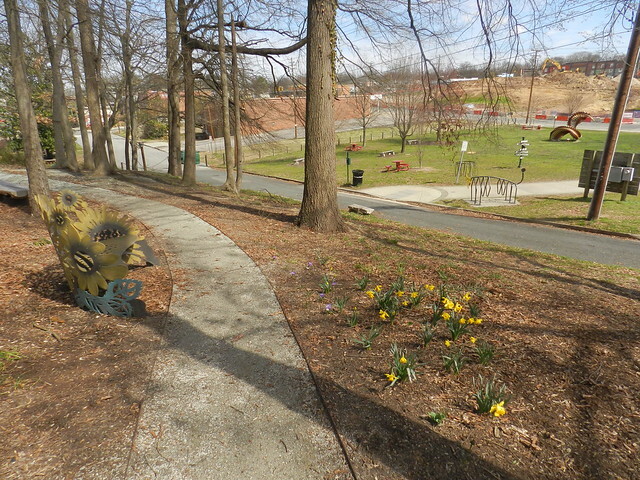 wonderful to see flowers starting to bloom Carver! Oh, what wonderful springy things! Lots of color and ducks to photograph soon. Those elf cars are very cool--something new to me.